It seems the entire estate of my great uncle, James Osenton, gold miner extraordinaire, comprised a single share certificate. After Treasury Solicitors' costs the final amount from the government office is...wait for it...a couple of thousand pounds! To be divided among his descendants. Me and my cousins have decided to put the money towards some kind of memorial to James Osenton - he deserved that at least! Just to take the story further: the dear old BBC, in the form of their Heir Hunters programme, have said that they would like to interview me, which I'm more that happy to do - I might then find out more about James Osenton. 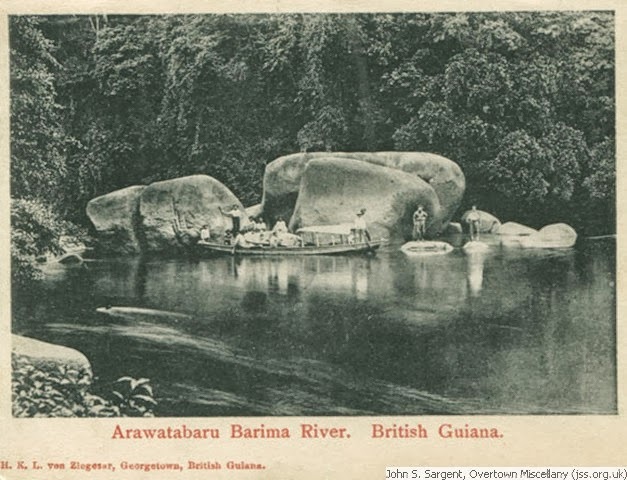 In fact I will do more than that: I intend to go out to Guyana, go up the Barima River and try and find out a bit more about my great uncle's gold mine. First hand! Nokia Stock Investment return - now's the time to GO! Well! We all made our money on Microsoft's cute move for Nokia (cute for Nokia that is!) didn't we? Didn't we? I sold mine yesterday at $6.24 as they began to dip (they're still dipping pre-market this morning, 17 Sept 2013). There's a whole load of Nokia IP now sloshing around the world and why, can anyone tell me, are the biggest number of Google enquiries for "Nokia" coming from Pakistan? Now the good folks of Finland have bought back their fill of their industrial darling I don't think the stock will be doing anything much anytime soon - although I guess they might drift down for a while. I've taken a punt with part of my profits and bought, as a good friend of mine terms it, a "minnow". Well, I've bought such a minnow I couldn't even buy it online through my broker, Interactive Investor, I had to buy my minnow through them over the phone!